A decrease in P-wave amplitude was the most common notable change in device parameters immediately after MRI. HealthDay News — For patients with a legacy pacemaker or implantable cardioverter-defibrillator system, magnetic resonance imaging (MRI) conducted at a strength of 1.5 Tesla is safe, according to a study published in the New England Journal of Medicine. Saman Nazarian, MD, PhD, from the University of Pennsylvania Perelman School of Medicine in Philadelphia, and colleagues conducted a prospective, nonrandomized trial to examine the safety of MRI at a magnetic field strength of 1.5 Tesla in 1509 patients with a pacemaker or an implantable cardioverter-defibrillator (58% and 42%, respectively) that was not considered to be MRI-conditional (a legacy device). The patients underwent 2103 clinically necessary thoracic and nonthoracic MRI examinations. For pacing-dependent patients, the pacing mode was changed to asynchronous mode, while for others it was changed to demand mode. The researchers found that there were no reports of long-term clinically significant adverse events. The patient’s device reset to a backup mode in 9 MRI examinations (0.4%); in 8 of them, the reset was transient. One pacemaker with less than 1 month left of battery life reset to ventricular inhibited pacing and could not be reprogrammed. A decrease in P-wave amplitude was the most common notable change in device parameters (occurred in 1% of patients) immediately after MRI. At long-term follow-up, the most common notable changes from baseline were decreases in P-wave amplitude, increases in atrial capture threshold, increases in right ventricular capture threshold, and increases in left ventricular capture threshold (4%, 4%, 4%, and 3%, respectively). “The observed changes in lead parameters were not clinically significant and did not require device revision or reprogramming,” the authors write. Nazarian S, Hansford R, Rahsepar AA, et al. 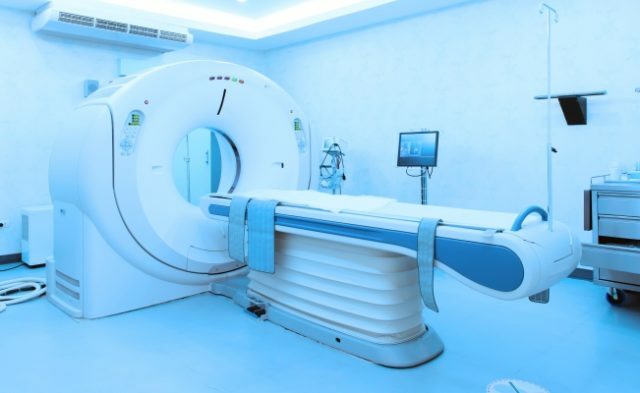 Safety of magnetic resonance imaging in patients with cardiac devices. N Engl J Med. 2017;377:2555-2564.